Sinatra Century honors the 100th birthday of Frank Sinatra. Bottled from only 100 barrels hand-selected for their character. It is a toast to an icon and a life well lived. 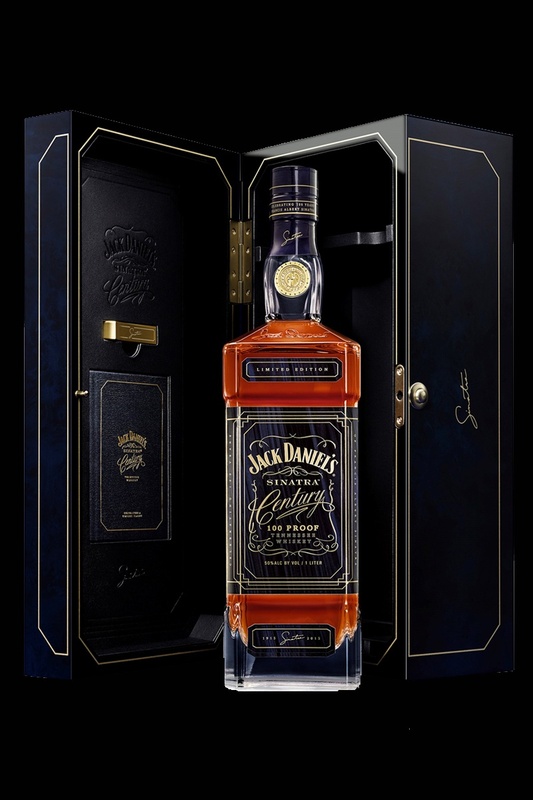 The Jack Daniels Sinatra Century is one of the most limited Tennessee whiskies ever released. Aged in distinctively crafted barrels, the 100 proof whisky is delicately balanced for smoothness. The interior grooves of the barrel coax the whiskey to greater depths of white oak and give the whiskey a complexity of flavors - imparting Sinatra Century with a robust and refined taste. Encased in a unique collector's box, every bottle of Sinatra Century is accompanied by a previously unreleased soundtrack as special as the whiskey itself. The soundtrack is a never-before-released 1966 soundtrack of Sinatra at The Sands.